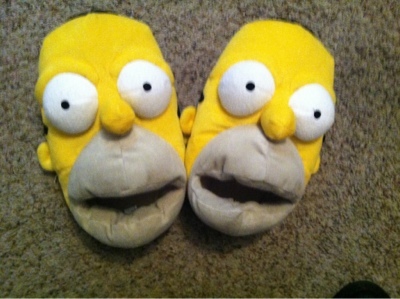 I have the same slippers! Though it's a pain to cram my feet into them. Hopefully you have a bigger size. I pretty much only wear them on Christmas. Yeah, they are not actually a functional slipper. But awesome nevertheless, right?